We chat with Nik Borrow, illustrator of a new book on the birds of The Gambia and Senegal. 1) How long have you been interested in birds and birdwatching? I’ve been interested in birds and birding for far longer than I remember and we’re definitely talking pre-teenage years here. I had an obsession with dinosaurs at an early age and I guess that it simply evolved from there. I grew up in Leytonstone at the very southern tip of Epping Forest and in those days there seemed little fear of what might happen to little children out alone in the woods and I was free to roam in nearby Bush Wood and Wanstead Park which were my earliest stamping grounds. Their woodlands and lakes held far greater interest for me than the urban sprawl and the bright lights of the east end of London. I was at a very early age when during a railway journey to Swanage on the south coast for a family holiday I was sat clutching a copy of I-Spy Birds and was fortunate that a complete stranger on the train who was sitting next to my family was obviously a keen birder as he proceeded to point out birds to me throughout the journey thus filling in many gaps in the book and introduced the idea of ticking and listing in my mind. I owe thanks to whoever this unknown person was as they definitely inspired me at the time. Joining the Y.O.C. and the now sadly defunct Epping Forest RSPB group was my next stepping-stone and the joys of Lea Valley birding with their reservoirs and gravel pits opened up a new horizon but it was my first trip to Minsmere with the YOC on the 1st May 1971 that really blew my mind! I remember being lined up with a full coach load of other youths in front of Bert Axell who put the fear of God into us during a rather unwelcoming introductory speech. I recall that he didn’t seem to be too pleased with the idea of large numbers of teenage boys on the reserve but nonetheless he delivered the speech in an inspirational way and we were allowed to enter the reserve. Here there was a whole new world with views of my first Avocets, Bittern and the like. After that there was definitely no turning back and holidays, particularly in Scotland pointed the way to a world of birds far removed from the local park and a desire to travel further abroad was realised. 2) Have you always been an animal artist, or have you worked in other disciplines previously? I studied Art at Wimbledon School of Art and there my main interests were semi-abstract landscape and in particular water effects. I was also interested in Life Drawing – the human figure. 3) How long have you been visiting West Africa? I first visited West Africa in 1990 with a trip to Cameroon when I began work on Birds of Western Africa. 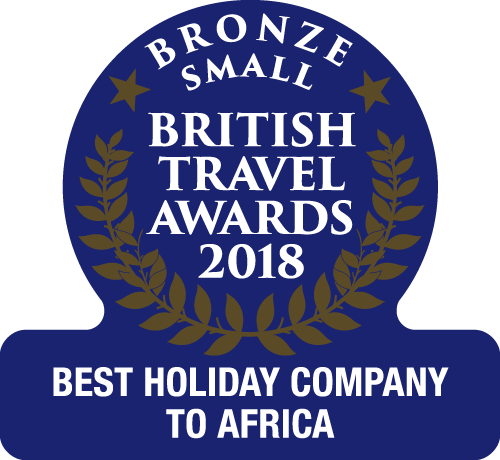 4) And when did you first visit The Gambia? Has it been strange to watch it burgeon into a tourist destination? I first visited The Gambia in 1994. The increase in tourism has been astonishing and although much coastal habitat has changed in that time to the detriment of wildlife improved access to other parts of the country has opened up wildlife watching opportunities. 5) How did you come to work on the book? The book followed on from the success of Birds of Western Africa and its ‘spin-off’ companion Birds of Ghana. Our (Ron Demey my co-author and A&C Black the publisher) idea from the very beginning of Birds of Western Africa had always been to produce spin-off more compact and handy one or two country field guides to the more popular birding destinations. The only remaining country in West Africa that is commonly visited is perhaps Cameroon. Gabon might be another possibility. 6) Was there a lot of pressure following up on Clive Barlow, Tim Wacher and Tony Disley’s renowned book? No pressure at all particularly as the project was not exactly a ‘follow up’. 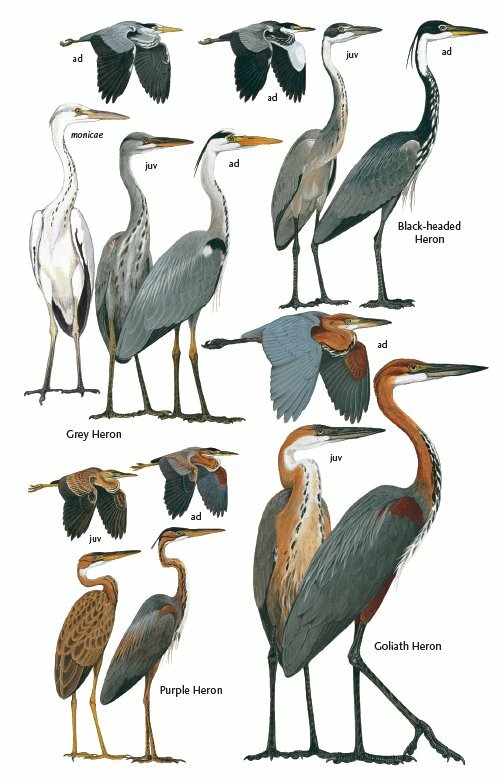 We had been working on Birds of Western Africa from which Birds of Senegal and The Gambia evolved since 1990 and The Barlow book was published in 1997 so you can see that the books were probably being worked on simultaneously and ours was possibly even conceived earlier. 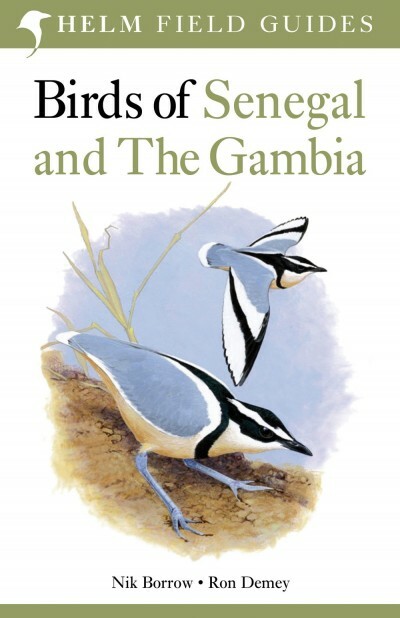 To my mind the two books offer very different insights into the birds of The Gambia. The Barlow book is more of a handbook and our book is most definitely a field guide that covers Senegal comprehensively as well as The Gambia. 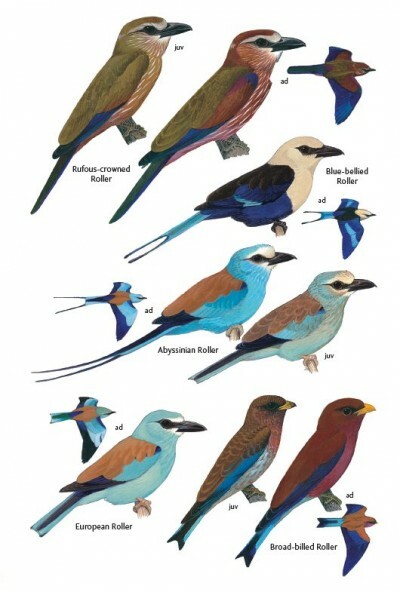 All major plumages and races are illustrated. The two books complement each other nicely to my mind and it would be great to see the Barlow book updated and expanded in the form of a handbook to the birds of The Gambia. 7) How did you approach the work of illustrating the book – did you start from scratch with the artwork, or build on what Tony Disley had done previously? My artwork has absolutely nothing to do with Tony Disley’s artwork. As mentioned before it is highly likely that I was working on many of the plates even before Tony Disley had begun his! I have been travelling in Africa since 1987 throughout the continent and my experience of African birds as you can imagine is quite comprehensive. 8) Do you sketch in the field, or work from photographs, descriptions and memory? Originally where I would start from involved translating a personal birding moment into an image and this meant birding, making sketches in the field, taking photographs and bits of habitat home to work from. These days most of my work involves illustration for field guides or commissions from others who have their own magical moments that they wish to have brought to life in a painting or drawing. With the latter I need personal stories, photographs or anything that it takes to help me imagine the scene that is in their mind. For field guide work I am totally dependent on my own field experience, photographs and skins and so numerous visits to the incredible collection in the Natural History Museum at Tring have to be made. 9) Have you actually seen all of these birds in their natural habitat, or is that unrealistic? Currently I have seen ALL but SIX species included in the book in their natural habitat. The missing species are namely: Cape Verde and Macronesian Shearwaters, Desert Eagle Owl, Golden Nightjar, Kordofan Lark, Quailfinch Indigobird. In addition to this I was the person who recorded Savile’s Bustard and Adwamawa Turtle Dove in The Gambia for the first time. 10) And I have to ask: any favourites? Not really but I have a soft spot for owls and nightjars and you would find it hard to beat species such as Blue-bellied and Abyssinian Rollers, Abyssinian Ground Hornbill or the bee-eaters generally. 11) What are you working on currently? Apart from leading birding tours to the Afrotropics for the birding holiday company BirdQuest I am currently updating and revising Birds of Western Africa. We are planning to treat the book in the same format as Birds of Senegal and The Gambia.